The Capital Rowing Club, a nationally competitive club rowing program, is dedicated to intensive training and conditioning in pursuit of successful racing while fostering teamwork and participating in the positive growth of our community through service and outreach. Scullers that have prior rowing experience and are in good physical condition are encouraged to contact the Sculling and Small Boats Program representative (sculling_rep@capitalrowing.org) so they may be evaluated for this program. The rower should also have a solid understanding of sculling rowing technique and an interest in competing on a national level (juniors, club, open, and masters). Exceptional sweep rowers with limited sculling experience, but strong erg scores and technique, will be considered. Admittance into the competitive program is done on an individual basis. The decision to accept a rower into the competitive program rests solely at the competitive coach’s discretion. All scullers will be evaluated based on a review of rowing experience and an assessment row. Because the number of club boats suitable for racing is limited, scullers that require boathouse resources will, as a practical matter, be competing for limited spots based on boat availability. Typically, there is a high demand for mid-weight singles and doubles so that category may be the most competitive. Interested rowers should submit erg scores taken within the previous year: Open and Juniors – 2k erg; Masters – 2k or 5k erg. 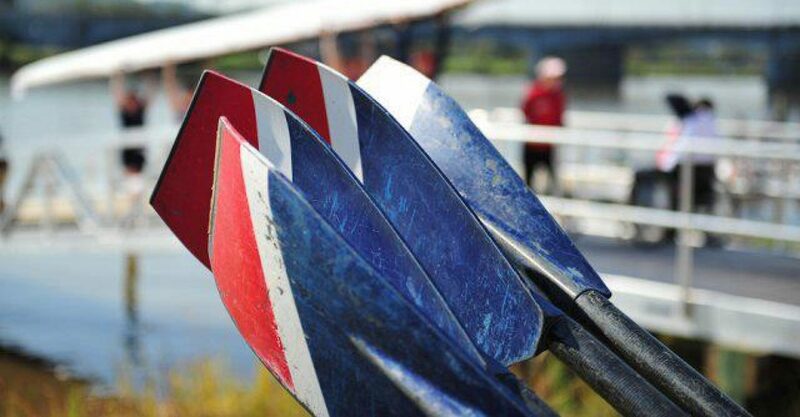 Rower evaluations are held late March through April (the competitive development period), however the competitive team will also consider individual try-outs mid-season. Masters should submit age category and recent racing experience. Lightweights should submit racing weight and current weight. When applying, please include relevant rowing and racing experience, erg scores (w/date taken), age category, current weight (for lightweights), and a sentence about racing goals. The season runs from the end of March through the first week of November. Practices are held Monday through Friday from 5:30 to 7:00 am. Scullers will be certified to take out boats during off practice hours and weekends. Scullers who take out club equipment during off-practice hours and weekends will need to register and pay for Basic Sculling, in addition to competitive sculling program fees. The Competitive Sculling Program will typically race the same races as the Competitive Sweep Program: Capital Rowing Club competes in both sprint (1000 m, with some 2000 m) and head races (up to 5000 m, or 3.1 miles). Regattas typically occur on the weekends and are usually within a few hours driving distance from DC. Capital’s Master’s Sprint season culminates in mid-August at the US Rowing Master’s Nationals which rotates location every year. The Head of the Charles is the highlight of Capital’s fall head season. The Competitive Sculling Program has an extensive fleet of club boats (singles, doubles and quads). However, certain boat classes (e.g., mid-weight) are more limited due to high demand than others. If you plan on using a privately owned single, please indicate ownership when applying for the program.